Context-aware and Ambient Intelligence environments represent one of the emerging issues in the last decade. In such intelligent environments, information is gathered to provide, on one hand, autonomic and easy to manage applications, and, on the other, secured access controlled environments. Several approaches have been defined in the literature to describe context-aware application with techniques to capture and represent information related to a specified domain. However and to the best of our knowledge, none has questioned the reliability of the techniques used to extract meaningful knowledge needed for decision making especially if the information captured is of multimedia types (images, sound, videos, etc.). 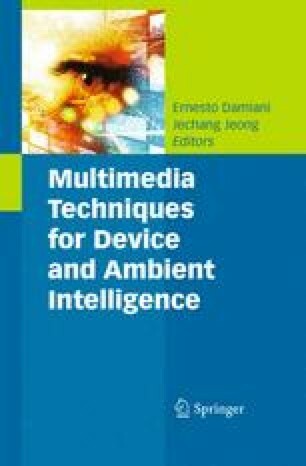 In this chapter, we propose an approach to bridge the gap between sensing and decision making and provide an uncertainty resolver to reduce faulty decisions based on uncertain knowledge extracted from unreliable techniques.We describe also a set of experiments elaborated to demonstrate the efficiency of our uncertainty resolver.